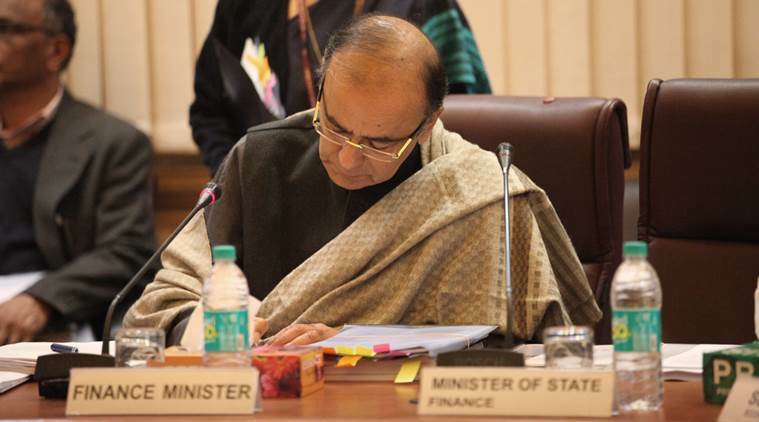 Finance Minister Arun Jaitley has convened a meeting in mid-February of experts, including from the IMF, to discuss ways to operationalise an asset reconstruction company, or ARC. With the bad loan crisis casting a shadow on the ability of banks to lend as and when private sector investment picks up, the Prime Minister’s Office (PMO) is deliberating on a proposal to set up an asset reconstruction company with equity contribution from the government and the Reserve Bank of India (RBI). It’s learnt that the Union Finance Ministry and Niti Aayog have separately pitched for “taking the tumour (of non-performing assets or NPAs) out” of the banking system. Apart from making balance sheets look better, a recapitalisation will enable banks to service the growing credit needs of the economy. Finance Minister Arun Jaitley has convened a meeting in mid-February of experts, including from the International Monetary Fund (IMF), to discuss ways to operationalise an asset reconstruction company, or ARC. The IMF is expected to share its global experience on a relief programme for troubled assets. An ARC acquires bad loans from banks and financial institutions, usually at a discount, and works to recover them through a variety of measures, including sale of assets or a turnaround steered by professional management. Relieved of their NPA burden, the banks can focus on their core activity of lending. “There has been a lot of discussion within the government on the crisis in banking. The RBI, too, has taken some tough action during the last year-and-a-half. But bank NPAs continue to be the ‘white elephant’ in the cupboard. Too little has happened all this while to pull the elephant out,” a senior government functionary, who did not wish to be named, told The Indian Express. It’s learnt that the finance ministry first floated the idea of an ARC last May, following which a presentation was made to the PMO. But RBI Governor Raghuram Rajan, who was present, was not comfortable with the idea of government equity in ARCs and feared a “moral hazard”. “Why should the taxpayer pay for reckless lending by banks in the past? The RBI was averse to the idea of government or the RBI contributing equity to the asset reconstruction company,” said a source. Tightening the screws over banks and errant borrowers, the RBI then took a series of important steps during 2014-15. These include tightening the Corporate Debt Restructuring (CDR) mechanism, setting up a Joint Lenders’ Forum, prodding banks to disclose the real picture of bad loans, asking them to increase provisioning for stressed assets, introducing a 5:25 scheme where loans are to be amortised over 25 years with refinancing option after every five years, and empowering them to take majority control in defaulting companies under the Strategic Debt Restructuring (SDR) scheme. With these steps, Rajan hopes banks would be able to clean up their balance sheets by March 2017. Banks, however, want more time to achieve this. Even as the ARC plan was being discussed in the finance ministry between May and July last year, the government announced in August that it would provide Rs 70,000 crore towards recapitalisation of banks over the coming four years. But there is a growing sense in the government that mere recapitalisation without taking the bad loans out may not suffice. “Equity infusion by the government and the RBI would lend credibility to the ARC. Government’s direct presence will also put pressure on banks and corporates to own up their bad loans and prompt them to shed these by taking a hair cut,” said a source involved in the deliberations. A source said tackling the bad loan mess requires multiple instruments. “An ARC is a potent instrument,” the source said. While there are more than a dozen private ARCs already registered under the SARFAESI Act, they have achieved little. The 15 ARCs have a combined net worth of Rs 4,000 crore and as on March 2015, they have managed to resolve less than a third of the assets acquired. “(The) Government and RBI have to be invested to bring credibility. Moreover, public sector banks are scared to sell to private ARCs for fear that the quantum of hair cut can always be questioned by the government’s auditor, vigilance or at worse be probed by the intelligence agencies,” the source said. Each year, the government ARC can buy NPAs to the tune of, say, Rs 1 lakh crore, by running an auction amongst banks. “In an auction, the ARC can choose the assets. It will be for the banks to make it attractive for the ARC. The banks will automatically take a haircut in the process. This will ensure they are paying a price for mismanagement and do away with RBI’s concerns of a moral hazard,” another source said. The biggest challenge, according to officials familiar with discussions on the issue, is to get professionals or specialists to run the ARC. “An operation of this scale has not been run in India so far. The ARCs can float different funds for different sectors. If the government agrees to guarantee the principal of the bonds floated by ARCs to raise funds for further acquisition of NPAs, it will attract domestic as well as foreign investors,” the source said. For the year-ending March 2015, gross NPAs of scheduled commercial banks stood at Rs 3.02 lakh crore in absolute terms, or 4.6 per cent of total advances. Six months later, this rose to 5.1 per cent. The stressed advances ratio — stressed assets is defined as bad loans plus loans that have been restructured by banks — increased to 11.3 per cent in September 2015 from 11.1 per cent in March. Private estimates of stressed assets, however, are significantly higher and vary between 17.5 per cent and a quarter of all bank advances.